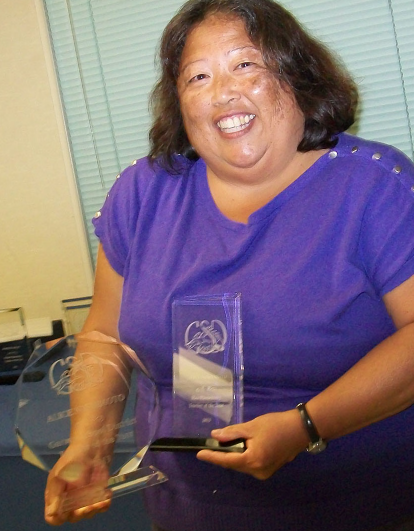 ROSEMEAD — The Garvey School District announced Alice Keiko Nishimoto as Garvey School District Teacher of the Year as the school year opened. Having taught for 15 years at Rice Elementary School in Rosemead, Nishimoto has received numerous National Endowment for the Humanities grants to study at various places on the East Coast during the past summers. Most recently, she returned from North Carolina, where she received a grant called “Crafting Freedom” to learn about what happened to the slaves after the Civil War. She has also served as a BTSA (Beginning Teacher Support and Assessment) mentor, PAR (Peer Assistance and Review) consulting teacher, and lead teacher in the K-12 Science Alliance while at Garvey. Nishimoto has worked with the Ocean Institute, Aquarium of the Pacific, and Cabrillo Beach and Marine Aquarium in various capacities to enrich water education for her students. Because of this work, she was honored with a proclamation from the California State Senate for the Upper San Gabriel Valley Municipal Water District Groundbreaking Project. She attributes her success to the support she has received from fellow teachers. Also honored were: Christine Almanza (Bitely), Alan Chan (Dewey), Peggy Adams (Emerson), Michael Drange (Garvey Intermediate), Elizabeth Lee (Hillcrest), Larry Chang (Monterey Vista), Michael Kenny (Sanchez), Christopher Spitler (Temple Intermediate), and Raquel Galan (Willard). Nishimoto attended Maryknoll School, Sacred Heart of Mary High School, Whittier College, and California State University, Los Angeles.